Financial stress can affect your life in more ways than you’d ever imagine. 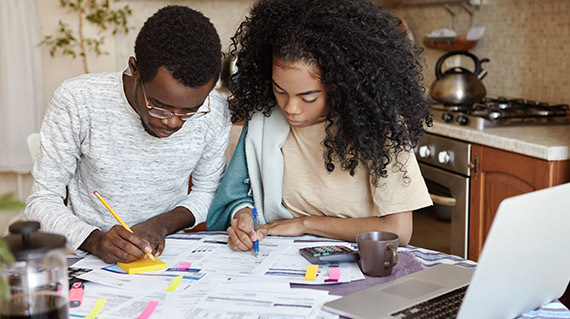 Aside from negatively impacting things like your appetite and sleep patterns, financial stress is shown to be a risk factor for various chronic diseases and can ultimately diminish your overall self care. And while everyone experiences financial stress at some point in their lives, some are more prone to this stress than others. If you’re one of the millions of Americans experiencing stress, angst, and worry over limited finances or negative funds, it’s imperative you find a solution before you start risking your health and livelihood. As one of several options available to assist you in these tight times, a short-term loan might be your best option. Installment loans: An installment loan is designed to have a set number of scheduled payments over a certain period of time. Installment loans are very consumer friendly and come with many flexible options for repayment. Power Finance Texas can arrange an installment loan for you today! Payday loans: A payday loan is a single payment loan where the amount borrowed is due on your next payday plus fees. Payday loans are not very consumer friendly and have very little options to repay the loan. Power Finance Texas does not offer payday loans to consumers. While these two loans vary in context, they are both structured to be repaid in a few weeks or months. And though there is no upfront payment or collateral needed, short-term loans always come with fees that must be paid along with the loan repayment. Do you need a CASH LOAN fast? Power Finance Texas arranges installment loans from $100 to $1,250 quickly. Most loans are approved within minutes. All it takes is a checking account, a phone number and a few other simple qualifications. See why thousands of people choose Power Finance Texas for their fast cash needs. How much can I borrow with a short-term loan and how does it work? Short-term loans range between $100 and $1,250. Upon applying for a short-term loan, you and a Power Finance Texas customer service representative will discuss basic personal information. We’ll gather all the necessary financial information from you to get you approved as quickly as possible. You’ll be explained how our product works and you’ll sign a written contract that outlines the terms of the loan as well as the repayment schedule. You’ll also be provided with this important information in writing. After agreeing on the short-term loan amount, fees, and repayment dates, your money will be directly deposited into your checking account or you may receive a check upon request. Short term loans in Texas are accessible to individuals with all types of credit, and the loan amount is typically based off of the borrower’s income. Don’t let yourself get bogged down by the stress and angst of being in a financial bind. If a short-term loan sounds like the right solution for you, contact Power Finance Texas today to start your application process!